Well, what he said about Milan I found to be slightly true true true. It’s tall buildings of multinational companies, shopping blocks and squares all over. It’s an industrial city. Every country has that city. The fast moving, sophisticated sister that is oft-accused of being cold and not warm enough. But that’s what makes Milan, Milan. A fashionable, fast paced Italian city. Yes it’s very corporate. There’s a huge Expo happening next year in Milan and I can see that the city is getting ready for it. It will be even more busy and fast-paced next year for sure. 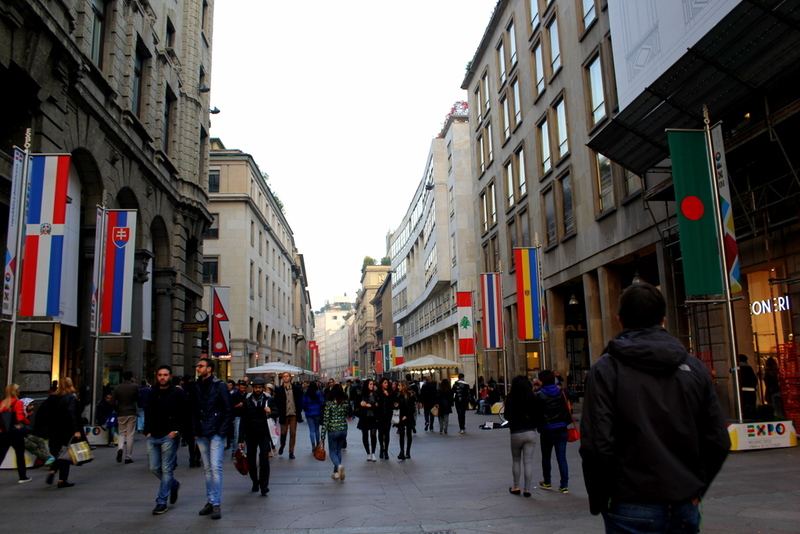 Having said that about Milan though, I felt that our 3-night stay in the city was balanced. 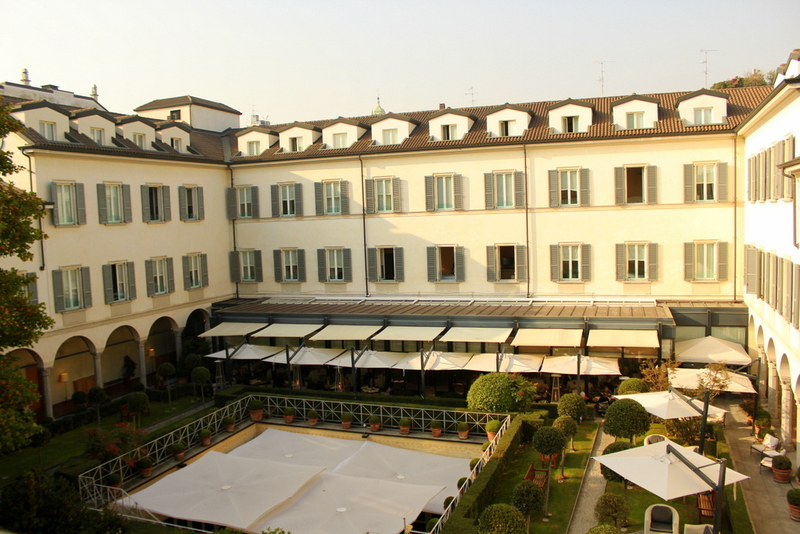 We stayed at The Four Seasons Milano. 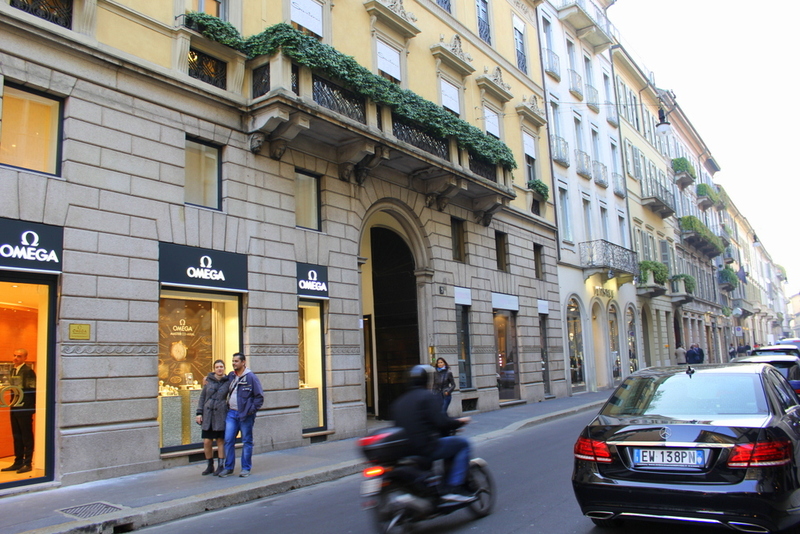 Located at Via Gesu, it’s probably the best location an accommodation can be at in Milan. Away from those fast streets and tall buildings, surrounded by luxury shops, yet still central enough to walk to the Cathedral and central shops. You may well remember these streets to be the backdrop of our Flytographer session, where my mom just couldn’t contain herself with the brands. 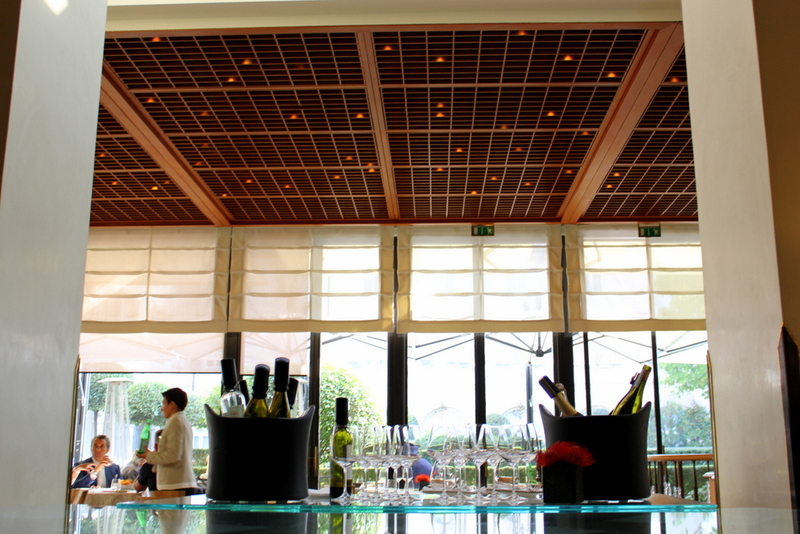 But anyway, despite being in such glitzy surrounds, The Four Seasons Milano offers a quiet , comfortable refuge. The concierge are ever ready to provide shopping tips, and one afternoon, I entered the lobby to see the area in front of the concierge desk lined up with shopping bags. Like Christmas. In the world of luxe hotel chains going down the trendy, chic and modern path, Four Seasons as a chain has remained steadfast in being classic. Clean lines, marbled walls (and bathrooms), I love the consistent vibe that you get no matter which Four Seasons in the world you may find yourself in. This particular Four Seasons though, has a very interesting history. The shape of the hotel building is a hollow square, and in the middle is a courtyard. This entire building used to be a convent. And it reflects on the tranquil and serene vibe you get inside the hotel. Lots of green , yellow, and natural light. The room size is extremely generous, with a separate sitting and working area. Because we are used to the sleek modern interiors, one may initially deem the style “dated”, but I beg to disagree. This is the very interesting thing I’ve noticed in Four Seasons that sets them apart from other hotel chains. As mentioned earlier, they have remained classic in style and service. Yet not overly grand (gold / chandelier, etc). The interiors are always clean, classic and simple. It’s when you sink in that bed , spent time in the bathroom (which is my favourite), and ex perienced the service that makes you realise that The Four Seasons is made up of small perfect details that make up a big picture. 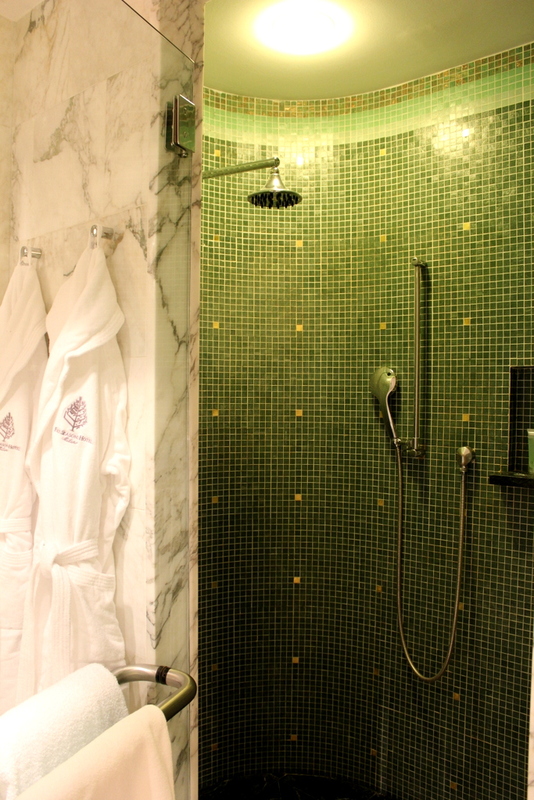 I’m never disappointed with Four Seasons bathrooms, and more so with the Four Seasons Milano. The bathroom at Four Seasons Milano. This tub fills up in 3 minutes flat. I judge a hotel heavily on their bathrooms. 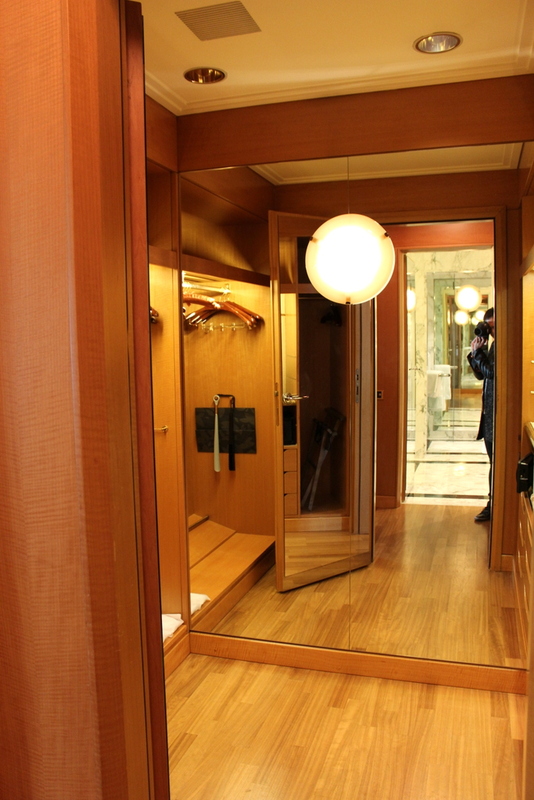 And going by The Four Seasons Milano’s bathroom, well I don’t know what else to say. 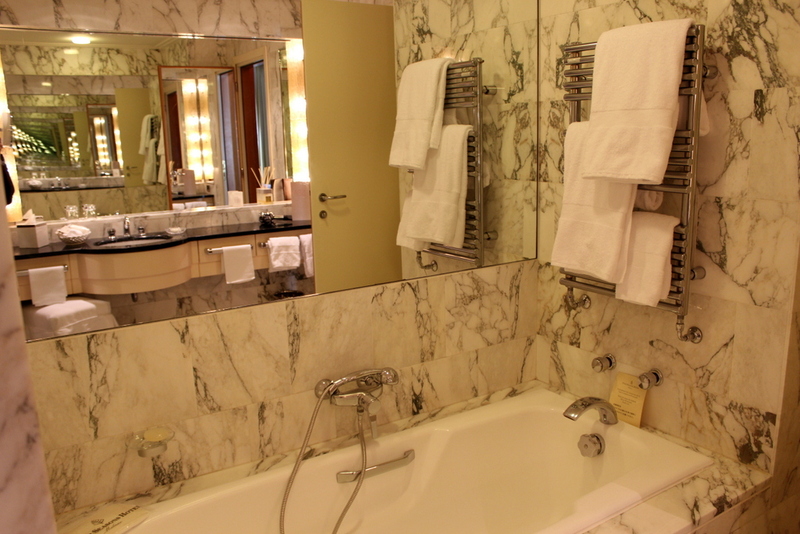 Lots of mirrors, white marble, extremely spacious, two sinks, more than enough fluffy towels, a separate shower and tub area, heated towel racks – I cannot fault it at all. Service from all levels – Concierge, Front Desk, Restaurant, were outstanding. From concierge, Giancarlo helped us plan our trip from hotel to the train station from the night before departure, and made sure he was there when we were actually departing to give our cab driver specific instructions. From Front Desk, Pascale and her colleagues who were able to handle an extremely busy check in time with grace and efficiency (like swans – graceful on top and paddling fast underwater!) and still managed to give personalised service to all guests. 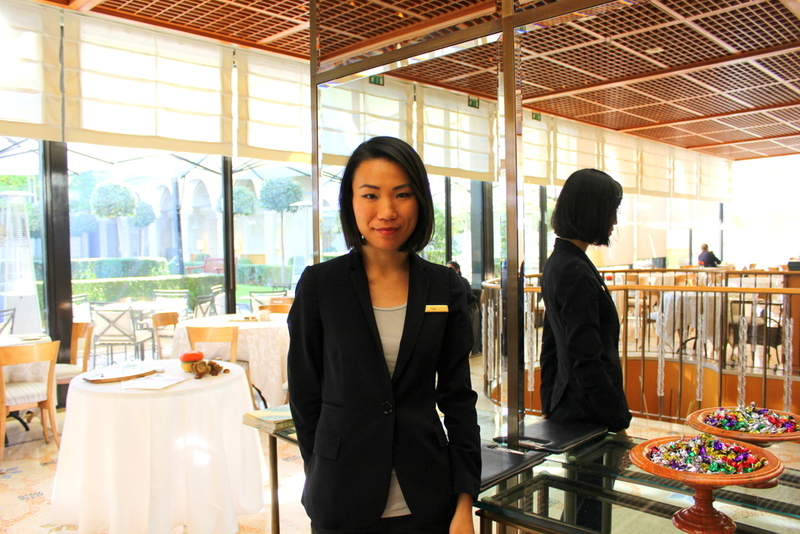 And from the food and beverage team, Ling from China, who only started a few months ago yet really showed pride in her job. It was a busy morning at breakfast yet she handled all the waiting guests with ease. This I can say: Milan as a city itself is not my favourite Italian city, but the Four Seasons Milano made me feel at home and made my stay in the city a memorable one. 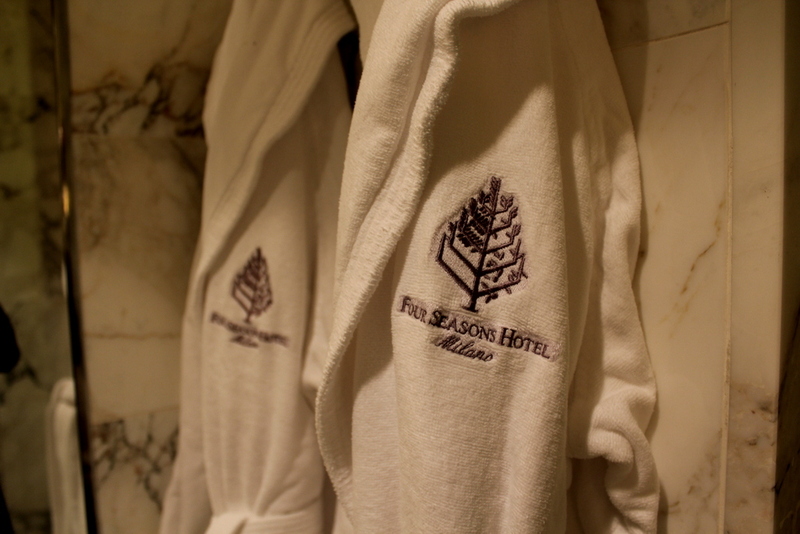 It’s hard not to feel at home at the Four Seasons Milano. You feel kind of cocooned inside this quiet, comfortable and luxurious home. 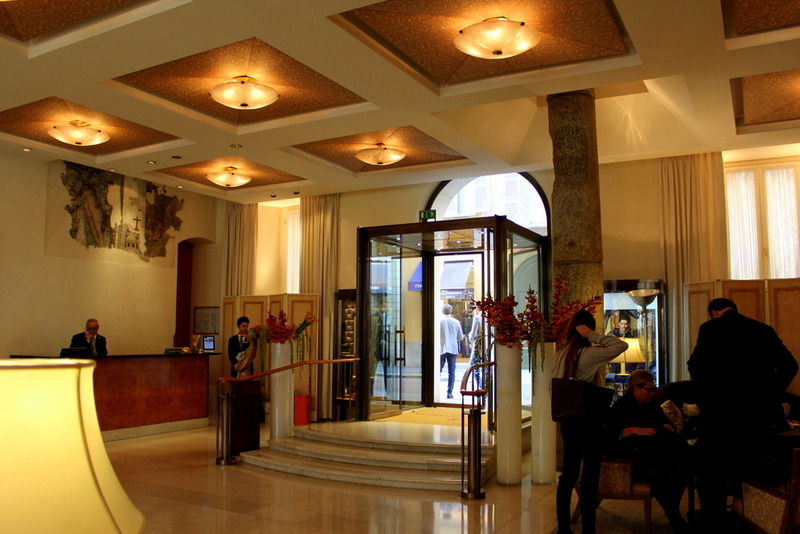 While it is surrounded by shops and high end brands, the service of Four Seasons Milano is very warm and genuine. As always, I am impressed with the impeccable attention to detail of the interiors. 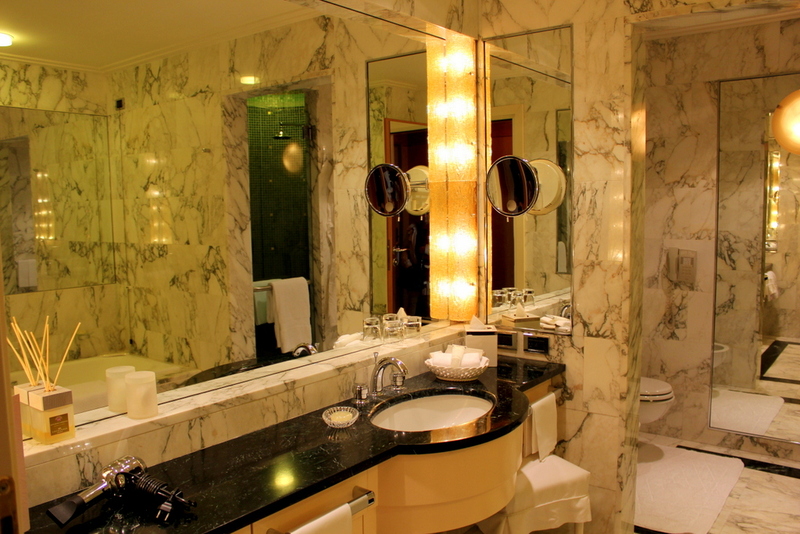 Though there is no huge WOW factor so to speak, (the bathroom leaves me speechless though!) , it will be hard, extremely hard to find fault with the details of the Four Seasons. 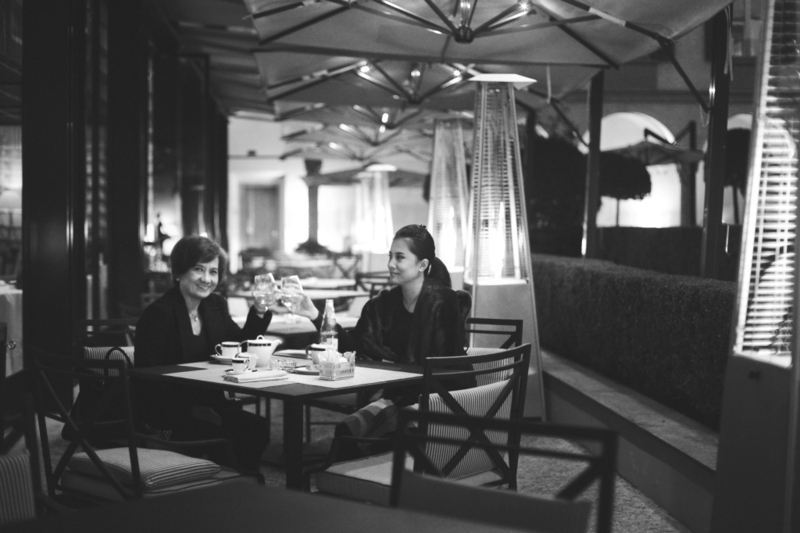 My mom and I certainly enjoyed our time in Milan and we always had quiet moments of winding down inside the hotel after an afternoon of shopping. Are you a fan of ultra modern interiors in a hotel or go for classic luxury? 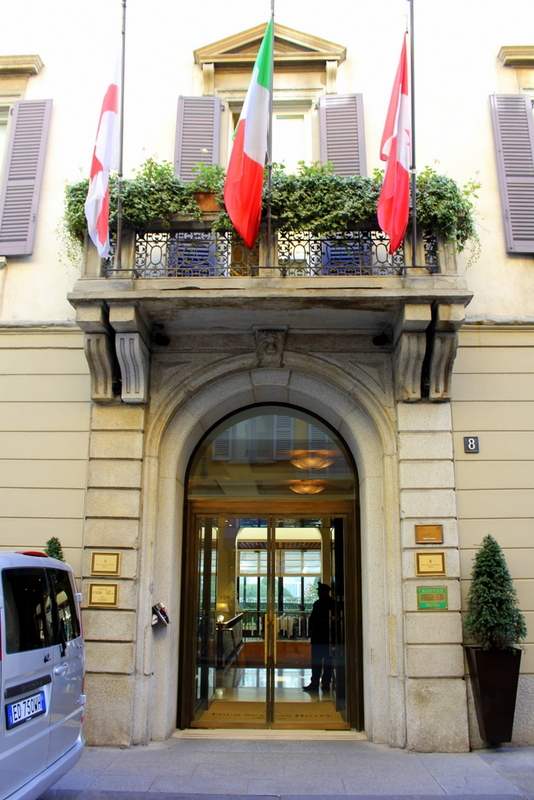 We were hosted by Four Seasons Milano for this stay. As always, this has no bearing on my thoughts and opinions of this review. I’ve never been to Milano but I do love Rome so that is very interesting about the pace thing! The bathroom looks superb. It’s often my favourite room, I don’t know why! If the bathroom is small or inadequate I really notice that. 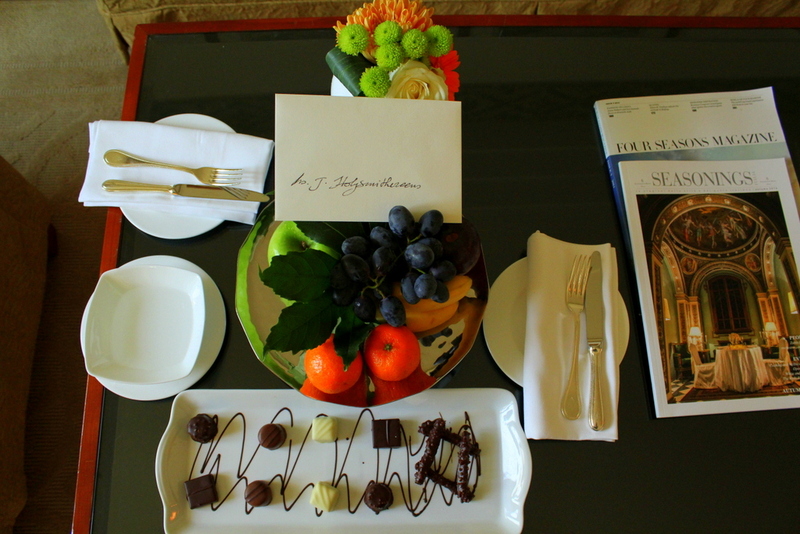 Oh, I love the tiny chocolates on the welcome tray. This hotel looks diving and I do love a classic, luxury hotel. 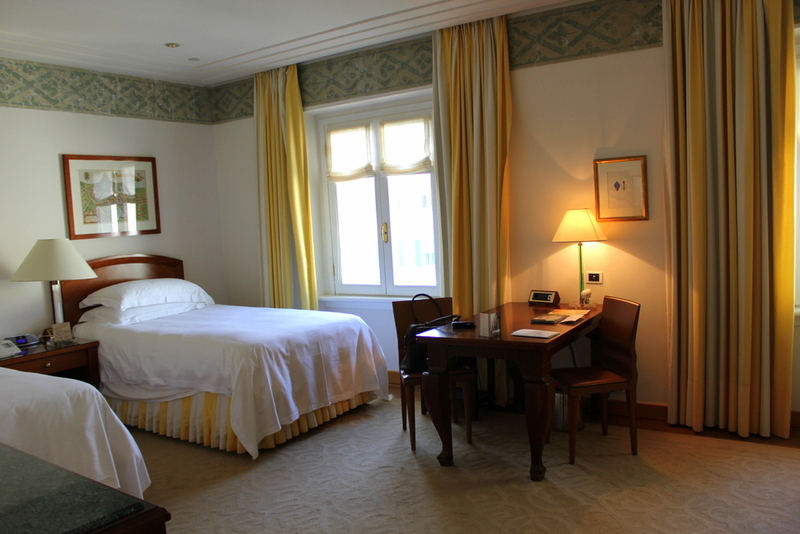 I vividly remember visiting the Cathedral in Milan when I was a young backpacker and would love to revisit Milan (and Turin too) as a more mature traveller… and to stay in this sort of luxury…. all the more appealling after my camping trip with the twins last week, I can tell you!